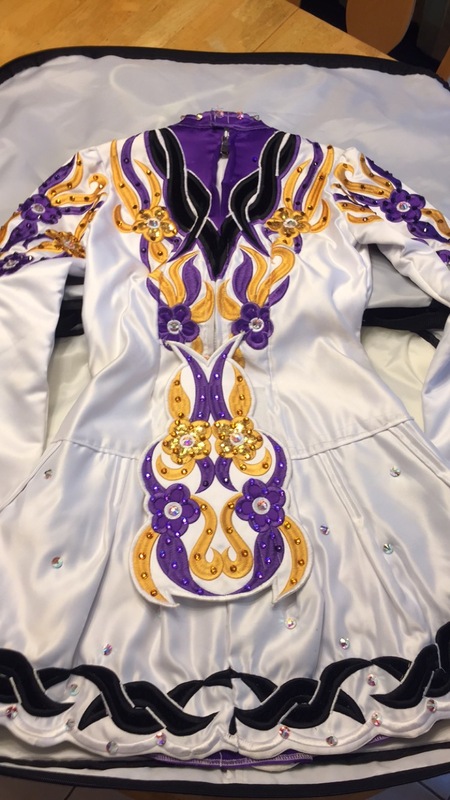 This Taylor Dresses Belfast dress is purple and gold with black accents and is in great condition. 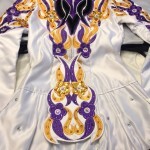 The dress is adorned with Swarovski crystals in gold, purple and pink hued. There are extra crystals included. 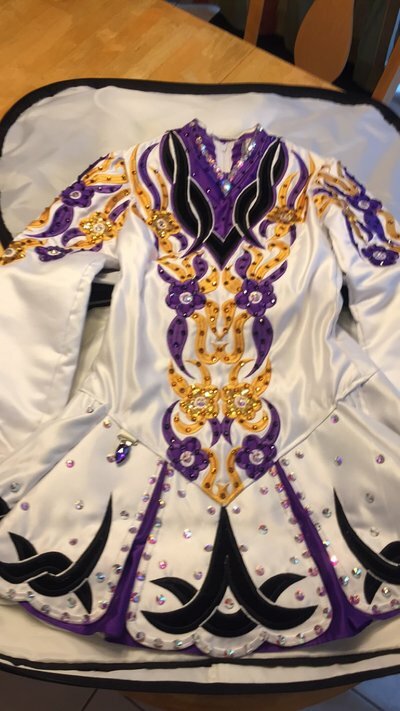 Purple bloomers, number clip and a purple beaded tiara included. Minor tan stains around the sleeve and makeup stains in chest area. This dress has been brought in, so there is room for let out. Asking Price: $US1,200. Shipping costs are included for my own country, overseas shipping is extra. Will accept returns and refund the cost of the dress, buyer to pay all shipping costs.